Can I Get a Home Improvement Loan With an Owner Financed House? Can I Add My Wife to My Deed With an FHA Loan? When you have figured out your home improvement priorities and know how much they will cost, getting a home improvement loan is no more difficult when your house is owner financed than when you have a traditional loan through a bank, in most cases. The same restrictions typically apply, unless your financing specifies it's a contract for deed, where the seller retains some ownership. 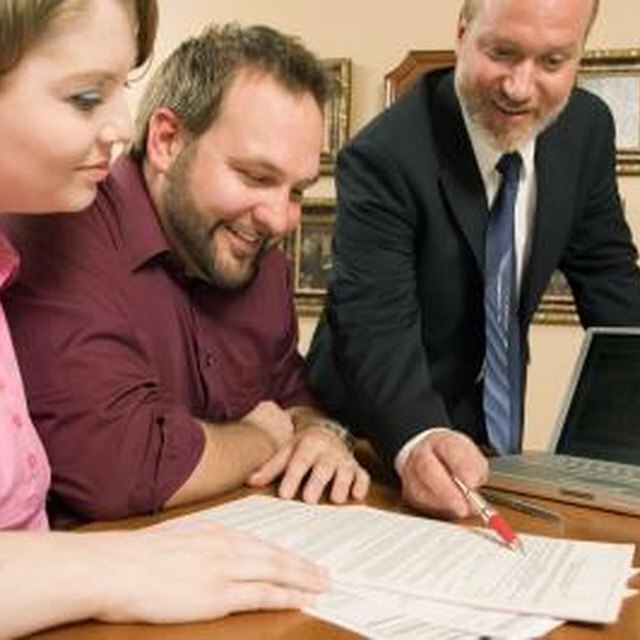 As with any home-related loan, your credit is key to whether you qualify. Check your credit report for free at the AnnualCreditReport.com website, where you can also see your credit score for a fee. Lenders have different credit requirements, but in general, you shouldn't have any recent late payments -- such as in the last six months -- and your credit cards shouldn't be close to their limits. Home improvement loans use collateral in your house to secure them, similar to a second mortgage. The loans are typically short-term, such as five years. A house's value fluctuates based on the current real estate market, so investing in a home appraisal gives you an idea of how much your house is currently worth. Compare this to how much you owe based your contract with the previous owner, who is financing the house for you, and determine whether you have enough equity in the home to qualify for the money you need for home improvement projects. When you buy a house with a contract for deed rather than a typical sales contract, you might not have the same rights of ownership, which means you could be rejected for a home improvement loan. Instead of building equity in the house, you have an equitable title, or shared ownership with the previous owner. It's similar to a lease-purchase scenario by which you pay a small amount down and make monthly payments to the former owner, who retains the deed in his name. When you've made all the payments, the deed is transferred to you. Consider refinancing the house with a bank or with a sales contract -- not contract for deed -- with the previous owner so you can qualify for a home improvement loan. What Are Title 1 Loans? When your credit isn't good enough for a conventional home improvement loan or you need more money than your equity allows, consider an FHA Title 1 loan. These typically have slightly looser guidelines than conventional loans, even allowing you to borrow more than your home's current appraised value if the improvements are likely to increase the value. FHA Title 1 loans also are more lenient about contract for deed situations, also called land installment contracts.